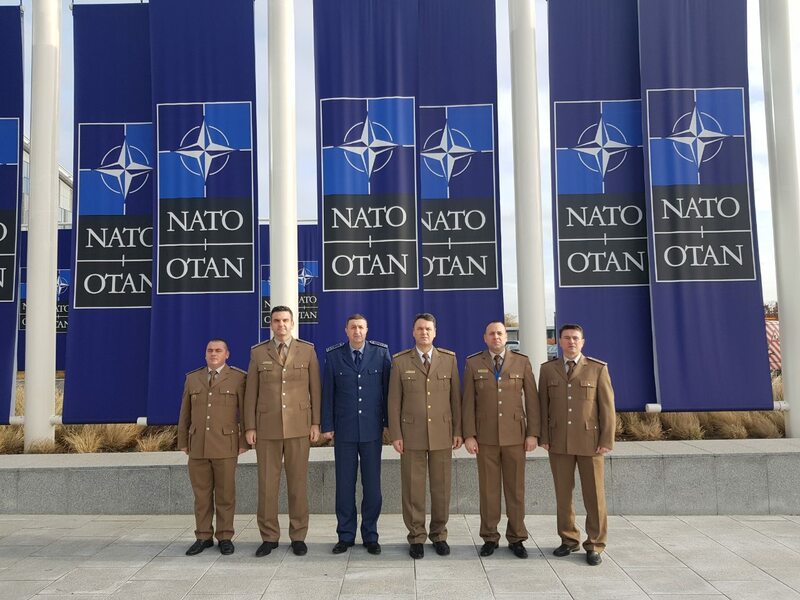 The delegation of the Armed Forces of Bosnia and Herzegovina (AF BiH), led by the Chief of the AF BiH) Joint Staff, Colonel-General Senad Mašović, participated at the meeting of the Chief of General Staff of the NATO member countries and partner countries, participants in the “Determined Support” mission. The delegation of the Armed Forces of Bosnia and Herzegovina at the meeting also included the Head of the Military Mission of the BiH Mission to NATO, Brigadier Jasmin Čajić, Head of the Support Office of the OSH AF BiH, Brigadier Edin Fako, Deputy Head of the Military Part of the BiH Mission to NATO, Brigadier Velibor Purković, and Staff Officer in the Military Section of the BiH Mission to NATO, Major Zvonimir Duvnjak. The agenda of the meeting included introduction of the main items of the Autumn Report on the status of the “Determined Support” mission, support to the priorities of the Mission Commander, and introduction of the guidelines for the future engagement and development of NATO in Afghanistan. From the BiH Ministry of Defence it was announced that, in his presentation during the meeting, General Mašović confirmed the continuation of the participation of AF BIH in the “Determined Support” mission that has been continuously participating since 2009. He added that this is a clear indication of BiH commitment to contribute to maintaining security and stability in Afghanistan. General Mašović stressed that BiH is now a country that, with its engagement in peacekeeping operations, is actively participating in and contributing to the security system, building peace and stability in the world. This fact, as he said, represents a great achievement for a country that in the past itself was the beneficiary of this kind of help. On the margins of the meeting, General Mašović held short meetings with the Chairman of the NATO Military Committee, General Stuart Peach and the Chief of the General Staff of the Croatian Armed Forces, General Mirko Sundov. During the short meeting with Chief of the General Staff of the Republic of Turkey, General Yasar Güler, the participation and the contribution of members of the Armed Forces of BiH in the “Determined Support” mission was discussed, as well as the expansion of military cooperation between the armed forces. The AF BiH delegation also held a bilateral meeting with the delegation of the Slovakia Armed Forces, led by Chief of Staff, Colonel General, Daniel Zmeko. The participants discussed the promotion of military cooperation between the two countries. At the same time, in Banja Luka barrack “Kozara”, a group of AF BiH soldiers, participants in the “Determined Support” mission arrived home from Afghanistan. On the welcome ceremony, the Commander of the AF BiH Operational Command, Major General Radovan Ilić, said that the AF BiH 6th Infantry Brigade reached the level of ability to work in a multinational environment and operability with other military formations from partner countries.